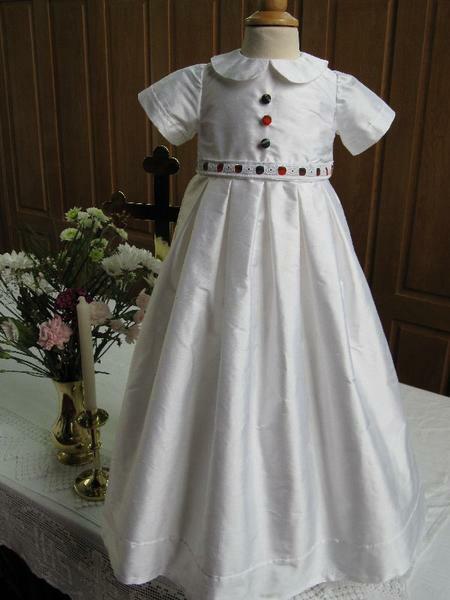 An understated yet pretty christening gown, ideal for celebrating any christening with Scottish roots. This gown is created from 100% pure silk dupion. 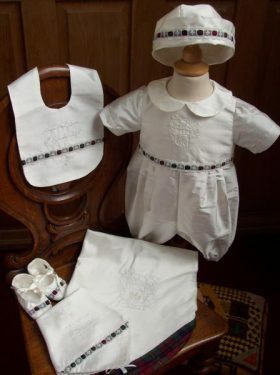 The bodice boasts a dainty little Peter Pan collar and the short sleeves are trimmed with pintuck detail at the edge. The full skirt joins the bodice with pleat detail making this gown ideal for either boy or girls. 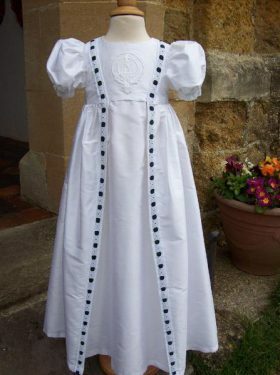 The trimming is minimal, tartan of your choice is threaded through delicate eyelet lace and trims the bodice/skirt seam. 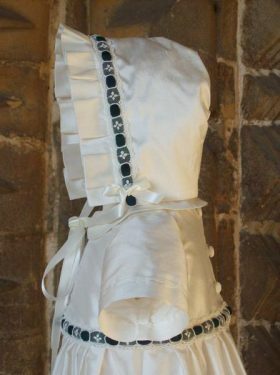 And finally, three tartan buttons decorate the bodice to create this much loved gown. This gown is available in white or ivory silk dupion. 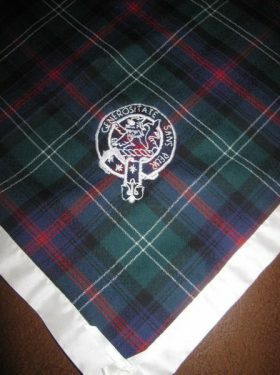 Your choice of tartan will also be used in the design. 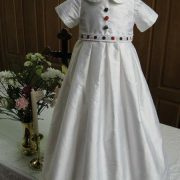 All Cassie Gown accessories are made to match the Christening Gown using the same silk fabric and matching tartan trim.